In every house, bathrooms remain one of the most frequented and yet the least thought about spaces. A well-designed and decorated bathroom is a delight, of course, but even mini makeovers can brighten them up considerably. Yes, we know frequent remodelling is expensive, so here are some tips and tricks to revive these neglected spaces. 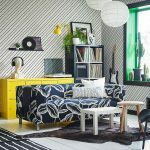 Add style and character with IKEA’s stunning collections! A coat of colour may be just the thing. Try adding a dash to just one wall, like pastel green, orange or blue. All said, though, whites and light pastels still rule when it comes to superior bathroom décor. You need space for lots of little things around the house – and it can be a real challenge to find enough. Forget horizontal storage: try vertical instead and use up that space in the bathroom! 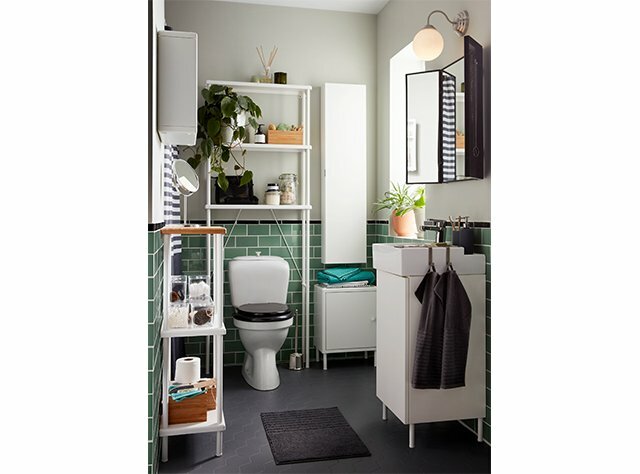 IKEA’s extensive collection of bathroom cabinets, wall shelving units, wash basin shelves, and mirror cabinets are big space savers. Smaller bathrooms may look inadequate, especially with too few or too many lights. Try our small LED bathroom lights for the ceiling and add brighter lights to key areas, like bathroom mirrors. A pendant lamp over a tub can turn the ceiling into a focal point and change the look completely. If you’ve got a bathroom window, pick from our extensive range of bathroom curtains, shades and blinds to change the room’s personality. Or get bold with our range of shower curtains. Play with colours and patterns – they’re an inexpensive way to revive a tired bathroom. Let your creative juices flow: design a feature wall. Bring out old magazines or comic books and use wallpaper glue to stick pages from them to a wall. Voila! A feature or accent wall that will transform bathroom décor, instead of just boring old paint. You could even just put up family photos in varying frames and create a lively collage. Dress up a sill or a wall shelf with some fresh flowers or a moisture-loving potted plant. Fill nooks and corners with candles or pretty glass vases to give your bathroom a soothing feel. Get matching bathroom accessories – a toothbrush holder, soap dispenser, bathmats, towels and towel rings – or even products that come in pretty designer packaging – to amplify the charm.